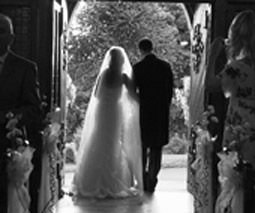 Wedding Videographer Dublin – Sinead and Chris – 22’nd September 2012. 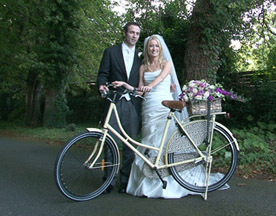 I was the official wedding videographer for Sinead and Chris on 22’nd September 2012. I started filming with the bride Sinead and her bridesmaids getting ready in the lovely area of Caulstown in Co Meath, the girls were in great form and enjoying the preparations. I went onto the church of St Brigid’s in Kilbride and got Chris and his best man Gavin arriving, Fr Mark English and two other priests Fr Padraig Mc Carthy and Fr Eugene Mc Loughlin were there as it was a concelebrated Mass. The church was decorated lovely by a friend of the family. 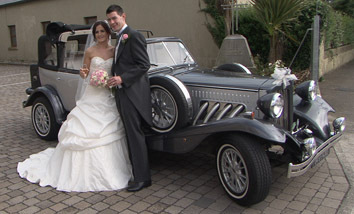 Sinead arrived in her beautiful wedding car a Beauford from Terry in Gold Cars. Ali Shiels was the wedding photographer she was snapping away getting all the lovely shots that she does best. We headed to the wedding venue, the wonderful Summerhill Hotel over the foothills of the sugarloaf in Co Wicklow, we were met by Andrew Ufnal who was most attentive, the speeches were before dinner so everyone could relax and enjoy the meal. 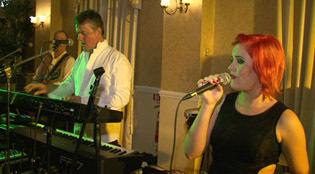 The wedding band were called Blush and we then had Derek Kelligher from Digital Dj’s to take us late into the night. 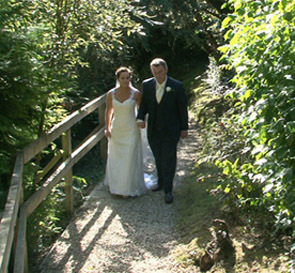 Wedding Videographer – Rachel and John – 20’th September 2012. I was the official wedding videographer at the wonderful wedding of Rachel Brown and John Armstrong on 20’th September 2012. I started filming at the church of St Vincent de Paul in Griffith Ave in Marino, the guest’s were starting to arrive and PP Fr Tom Moone was there greeting people as they arrived. The Church was exquisitely decorated by a friend. Rachel didn’t keep us waiting and arrived in a lovely silver Bentley provided by Absolute Limos. 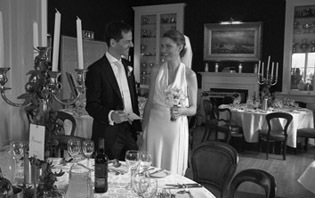 The wedding photographer was Eva Powers, she is a remarkable photographer and a pleasure to work with. We did not have far to go for the wedding reception, it was in the wonderful Dunboyne Castle were Tom Breen and John Ryan looked after our every need and did an amazing job as they always do. The wedding band were the Swing Cats and they entertained family and friends for the night. It was a great day and I look forward to talking to Rachel and John when their wedding DVD’s are ready. Wedding Videographer – Jennifer and Cyril -15’th September 2012. I started at the church of St John the Baptist in Blackrock were Cyril, Shane the best man and Declan the groomsman were meeting and greeting the guests as they arrived. The mass was celebrated by Fr. Eddie Conway and he was so accommodating, the flowers that Jennifer picked were just out of this world and were provided by Appasionata. The church music we had was from David Greenway and it was breath taking, David has sang in lead roles such as Les Miserables and many other shows both nationally and internationally, it was a real joy to listen to someone of his caliber.The wedding photographer was Tomek Bogut, he had a slightly different approach to wedding photography and I look forward to seeing some of his shots. 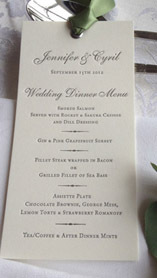 The wedding reception and was held in the Royal St George Yacht club Dun Laoghaire, this was a beautiful venue. It wasn’t there for the evening music but I have no doubt David Greenway did a fabulous job. 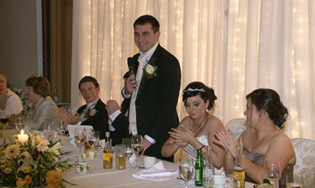 I will be talking to Jennifer and Cyril again soon when their wedding DVD’s are ready. 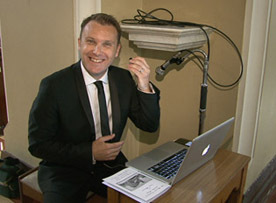 Wedding Videographer for Gail and Damien – 14’th September 2012. I was the official wedding videographer for Gail Sterio and Damien Kendal on Friday 14’th September 2012. The day started with the girls having their hair and makeup been done in Gail’s house in Rathmines, I headed from there to the Glenview Hotel in Wicklow. The civil ceremony and wedding reception were taking pace in the Glenview Hotel, the ceremony was lovely and covered by Romy Mc Auley from A Beautiful Ceremony and the Harpist was none other than Ann Tuite, Ann has been playing, singing and composing music for many years, she has played for Presidents, Prime Ministers and many other dignitaries both nationally and internationally. The wedding photographer was Roslyn Byrne from Couple Photography, she has a different approach to wedding photography and it was lovely working with her. Ade and her team done a fantastic job in the Hotel, they were ever so attentive and nothing was a problem for them. In the evening we had the wonderful sound of Jaker who did a great job. I look forward to meeting Gail and Damien again when their wedding DVD’s are ready. 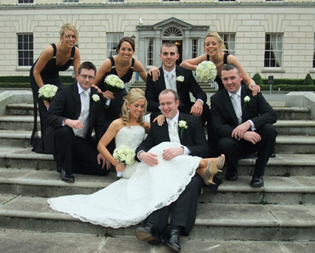 Wedding Videographer Ireland – Aoife and Joseph – 8’th September 2012. 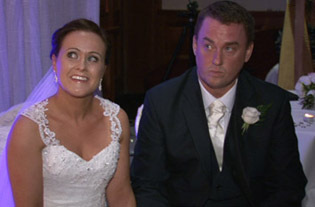 I was the official videographer at the wedding of Aoife Byrne and Joseph Moylan on Saturday the 8th September 2012. I started in the house with the girls having their hair & make up done, I left just as the magnificent car from Absolute Limousines arrived for the bridesmaids and a Brenchley from AT&T Chauffeurs for Aoife. The church was St John de Baptist were we had a lovely mass celebrated by Fr Tom Colreavy and the wonderful Harp played by Dearbhail Finnegan who did a lovely job. After the wedding we went for some pictures that were taken by the wedding videographer Michael Edwards from Donagh Photography. The wedding reception was in the wonderful Clontarf Castle Hotel were Lorraine and her dedicated team were waiting on us and looked after us for the day. 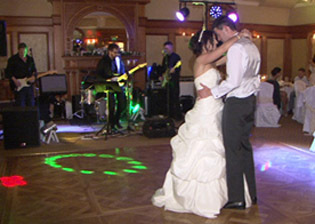 It was a lovely day and everyone danced the night away, I look forward to meeting up with Aoife and John when their wedding DVD’s are ready. 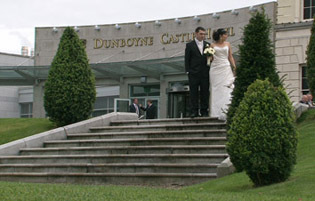 Wedding Videographer Dublin – Lyndsey and John – 7’th September 2012. I had the pleasure of been the official wedding videographer at the wedding of Lyndsey Fox and John Mc Cartney on Friday the 7th September 2012. I started at the house were Lyndsey’s and her 2 bridesmaids were having their make up done by Orla Maria O’ Reilly who did a fabulous job. 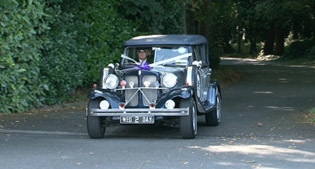 I left just as the magnificent vintage wedding car from AT&T Chauffeurs arrived. The church was St Peter & Paul’s in Baldoyle, Fr Des was there to meet and greet everyone along with John & his best man Justin, who were there in all their finery. The church music and singing was by Margaret Brennan from sings.com, the music really added to the ceremony. We headed off to the waterside for some pictures, Denise Cannon was the wedding photographer from Design Works in Skerries, Denise was lovely to work with. It was off then to the wedding reception in the wonderful Glenview Hotel in Glen of the Downes, Ava and her dedicated team were waiting on us and looked after us for the day. After dinner the we were entertained by the great wedding band The Poor Boys, they are a dynamic and extremely entertaining “LIVE” band, they are a band that love what they do and this is most evident in every live performance. I look forward to meeting up again when their wedding DVD’s are ready. What a great day had by all.